Ciniglia, C., Cennamo, P., De Stefano, M., Pinto, G., Caputo, P. and Pollio, A. 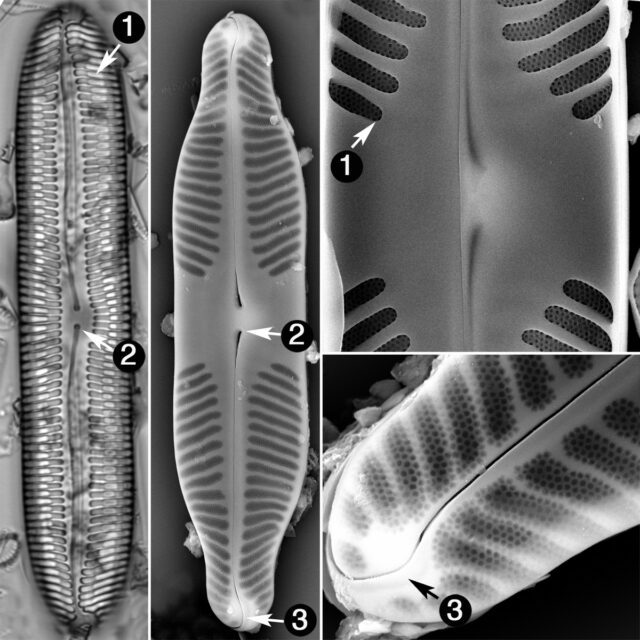 (2007) Pinnularia obscura Krasske (Bacillariophyceae, Bacillariophyta) from acidic environments: characterization and comparison with other acid-tolerant Pinnularia species. Archiv für Hydrobiologie 170(1): 29–47.